Star Media & Marketing Ltd brings to you the Asian Beauty pageant UK, one of the largest, fairest & most influential beauty pageants in the UK. Since its inception, the team has been dedicated to promoting Asian cultural heritage, international cultural Awareness and community pride. The event will provide a platform where outstanding, Young individuals male and female will have the opportunity to display their artistic skills, intelligence, confidence, cultural pride & leadership in order to further advance themselves in Society as well as raising the profile and working alongside our official charity Football For Peace. The event will also help in Community cohesion, cultural exchange between the United Kingdom & Asian countries. 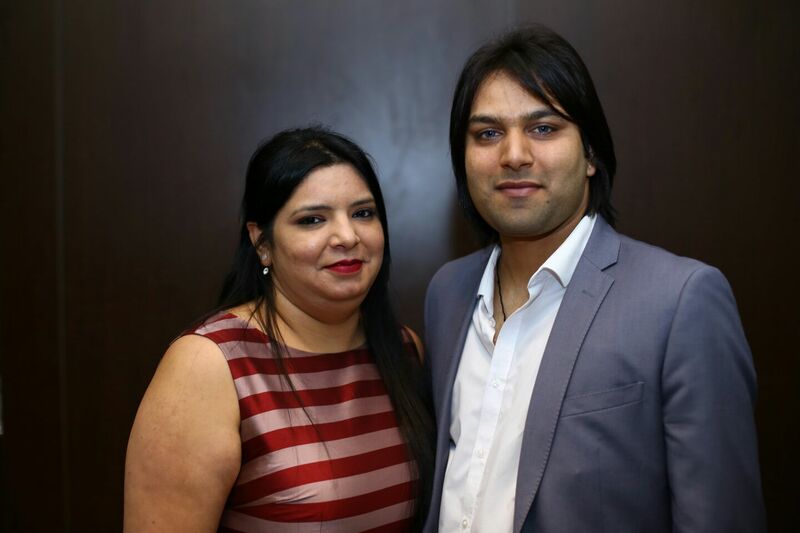 The competition started in July 2015 across the UK to find Finalists who will perform in grand finale of Asian Pageant UK 2016 taking place in Birmingham, promising to be a very high profile event with many A-celebrity judges, artists and VIP’s attending to witness the crowning of the winners. This will not just be another beauty contest but an evening of glamour with a range of performances hosted by top media personalities. Guests will see an amazing catwalk with the final regional contestant’s showcasing their talent, bringing out each finalists individual personality and modelling breath taking designs by up and UK and international designers . Director’s Nav and Shiv, husband and wife team currently run a successful business,s have come together through a shared vision to offer diversity, multiculturalism, a unique blend of professional qualifications, years of event management experience and multi-disciplinary skills to help make this event successful. The regional selection process saw a wide range of applications from across the regions ageing from 18 to 30 yeas old, being a major success with support and backing from various partners, institutes and organisations. Finalist’s selection took place in January and February 2016 at The Venue Edgbaston, Birmingham and Imperial Spice in Croydon, London. Successful applicants were invited to an panel interview where 14 contestants were shortlisted for finale. 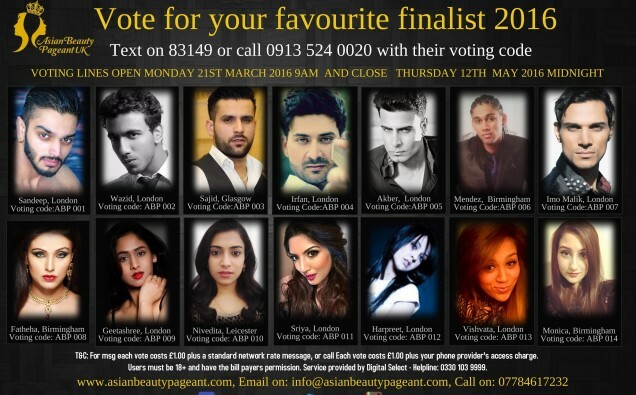 Voting lines will open on Monday 21st March 2016 at 9am and close Thursday 12th May 20016 12 noon for public to vote for their favourite finalist for the Asian Beauty Pageant 2016.